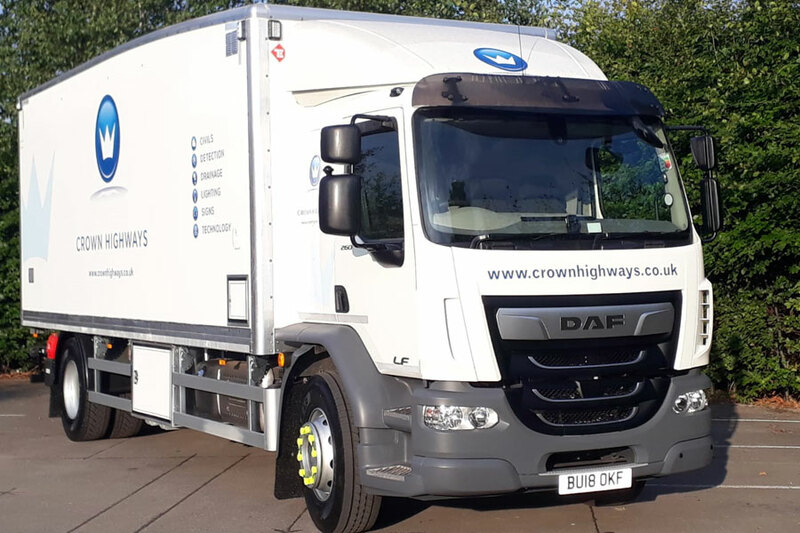 Crown Highways have invested £400,000 in new vehicles to improve the overall quality of their fleet. 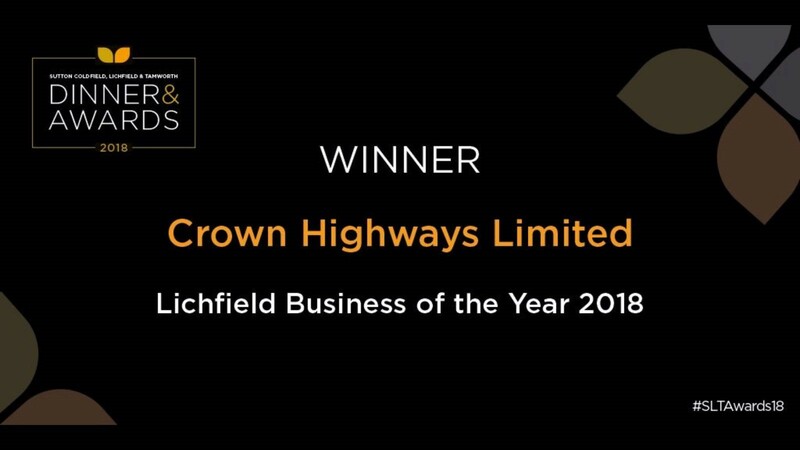 The investment has a double pronged benefit for Crown Highways. 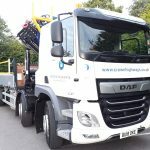 Firstly, the new vehicles increase reliability and quality of operations, and equally as important, increases the level of quality and safety for their workforce carrying out the schemes of work. 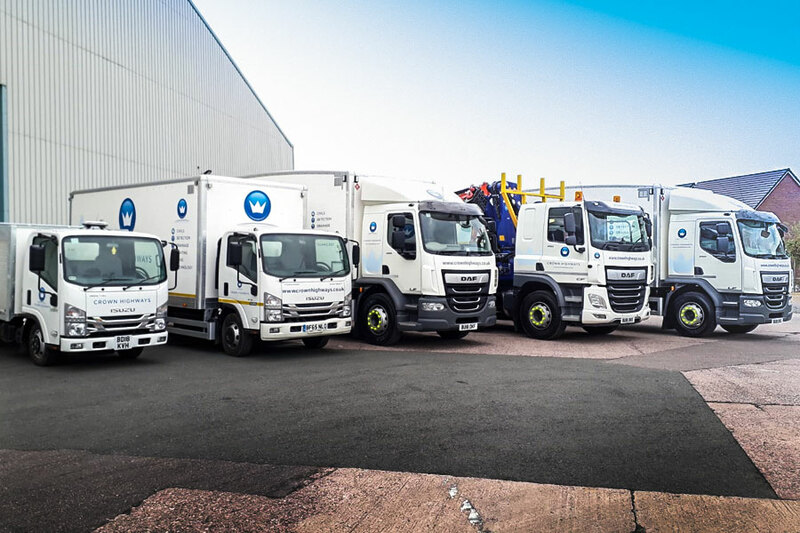 There are 5 new vehicles added to the fleet, taking the Crown total to over 90 vehicles supporting a workforce of over 120. They are the first loop wagons in the UK to have a fully self-contained welfare unit built inside the body of the vehicle which provides a toilet and seating area for the workforce whilst on shift. The unit has also been redesigned to enable better storage and water facilities on board. The first two have been delivered with a further two ordered for delivery later in 2018. This new loop wagon has been designed to enable Crown to complete smaller works activities around urban areas. In a number of areas, it is not practical to use an 18T vehicle. 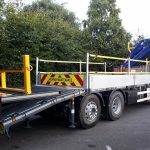 A smaller truck will make these jobs easier to complete and will save space on site and cause less disruption to members of the public. 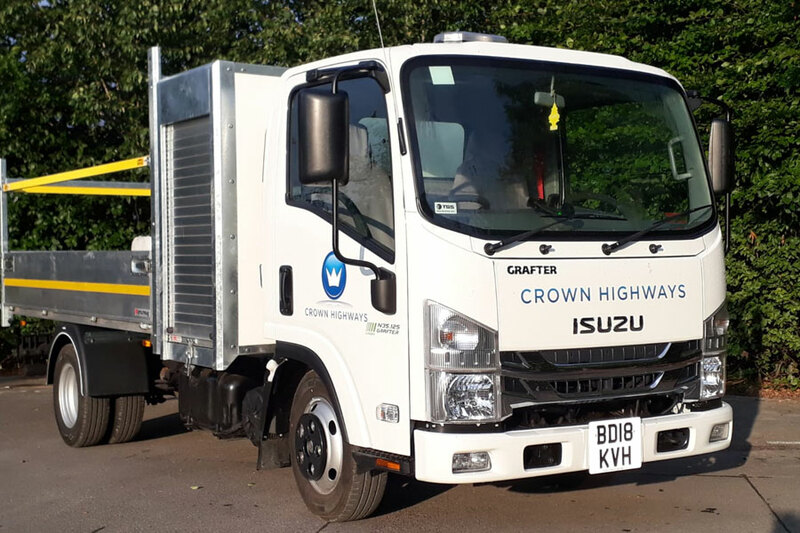 The new beavertail replaces an old vehicle on the fleet and will be used by the Crown Highways Midlands Lighting team. 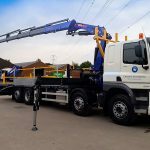 The vehicle comes with a number of new technologies including a purpose built Beaver Tail C/W 5 Extension Hydraulic Crane, 5T Winch built to full safety standards, 5 camera CCTV system and audio alarms. 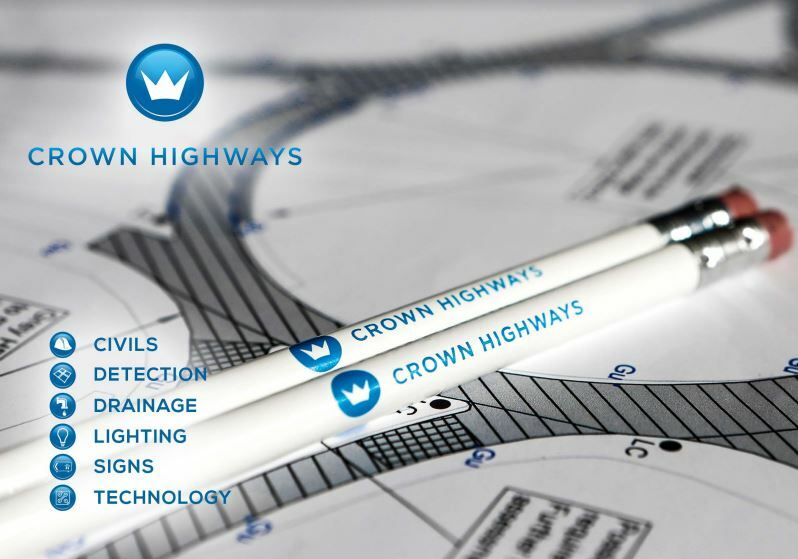 This vehicle enables Crown to carry and install lighting columns from the roadside. 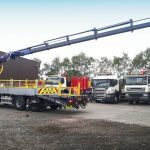 A tipping vehicle for the civils team to aid their work in and around Birmingham on their traffic signals civils contracts. 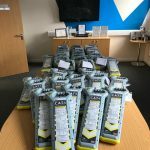 Crown have also taken the opportunity to upgrade their stock of Cat & Gennys, with their new Cat4+ devices assissting in service avoidance and keeping teams safe from harm when searching for underground cables.